While reading Ephesians 2:10, I was struck by the Bible’s description of us as “masterpieces of God.” Merriam-Webster defines a Masterpiece as a work done with extraordinary skill, especially a work of intellectual or artistic achievement. That feels to me like a potentially liberating statement, because it means that in those inevitable moments when I feel invalid (in whatever capacity), I can reflect that I am not a mistake, I am a work done with extraordinary skill. Hence, if I feel as though I don’t have that much relevance, that I’m invalid in the environment I find myself in, I can remind myself that there is more to be seen than I do in that moment. Even if you believe you are a fine specimen of everything you’re supposed to be, that doesn’t mean you have everything figured out. Actually it does mean that you are precious, and need to be protected and kept in your optimum condition. If you are a masterpiece, it means that you should take care of your surfaces. Exposure to extreme temperatures may dull your beauty and you may need to be touched up, or restored. The challenge for you and I, masterpieces that we are, is to make sure that the conditions in which we are kept and the means by which we are restored do not compromise the original work of art. The above is a Spanish painting (Ecce Homo, or Behold the Man) originally completed by artist Elias Garcia Martinez in the 1800s. An endeavour commissioned by the church that it has been in for more than 100 years. Recently in August, 2012, a woman took it upon herself to restore the painting (picture on the right). Apparently, critics have taken to calling the painting “Ecce Mono” or, Behold the Monkey, because of the extent to which the church patron altered the work. To go back to our ideas about masterpieces, some amount of supervision is necessary when you think about restoring yourself to your original glory. If light and moisture (read: the stresses of life) make your colours less brilliant, or etch holes in your canvas, you must be restored. In doing so though, you have to protect the integrity of your original work. To use an argument of adaptive human behaviour, if you find your old methods of behaviour no longer sustainable, as in your actions in relationships are getting you into trouble (read: dulling your masterpiece), then you have to make a change. In this event you must follow a trusted path to restoration, lest you transform or evolve into something altogether separate from your original self. My position is that you have good inside of you; that the deep seated person that only you can unveil is who needs to come out. 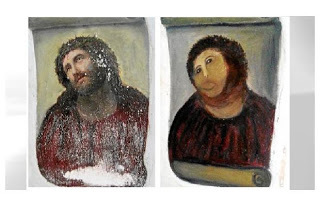 Imagine the aesthetic difference between the freshly painted Ecce Homo and the unauthorised restoration of it in 2012. What a tragedy! Now, think of yourself: people walk by, they add a brush stroke here or a hostile environment there, and these things show up on you. Your colours start becoming dull, or you begin to forget who you are, and what you’re worth. When people can’t really describe you when asked, or when they describe you, and you don’t recognise the person that they’ve illustrated, then you know you’re starting to fade. It’s time to be restored. Do you know where your good restoration is? The kind that will take you back to your original glory? For me, I have several sources of restoration. 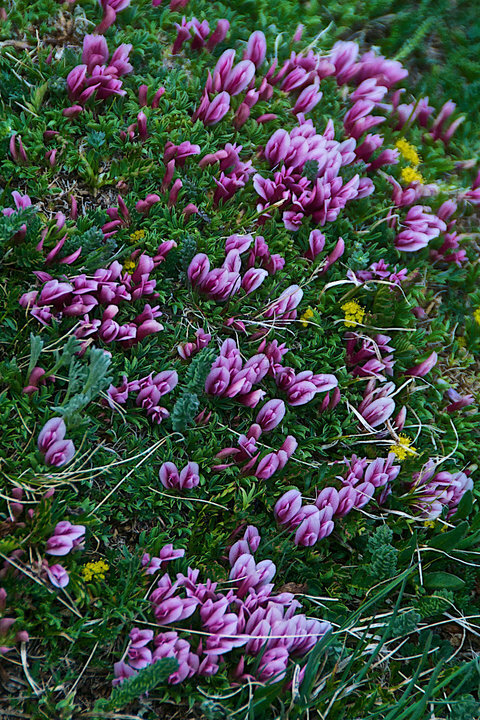 My biggest source of restoration is to go back to the Artist: Almighty God, my Creator. Notice I didn’t say the church, or religion? No, my source of restoration is firstly from God, and the relationship I have with Him. I often talk to people who have no belief in or understanding of God, and I always say the same thing: ask God who He is. People get very caught up with religion and denomination and I’ve seen far too many people lose their faith because of the religious people around them. God is not a church, I don’t think. God is the Source of strength, the Comforter, the Guide, the Forever Friend. He inspires people to want to come together and I am restored by that. I also think that without a true relationship with God, following the church or even the Bible can become something other than restorative. I am also restored by the word of God. The Bible has so many different kinds of guides, from ways to draw closer to God (James 4:8 Draw near to God and He will draw near to you) to normalising (and speaking to) my anxieties (Ecclesiastes 3:10 I have seen the burden God has laid on the human race. He has made everything beautiful in its time. He has also set eternity in the human heart, yet no one can fathom what God has done from beginning to end). I take much strength from the fact that there is an ancient book that still holds relevance to my everyday struggles. Another way that I am restored is through my relationships with loving people. Nothing helps you to grow more than relationships, and a good relationship will restore you because it doesn’t simply highlight the area where you could stand to grow, but it also balms the wounds you’ve already encountered by speaking love and life into you, in a way that is sometimes more convincing than your own voice. Good relationships, from the bona fide relationship you have with God, to the honest relationships you have with your spouse/friends/parents/children will restore you. A good relationship will always bring you closer to owning three very important self statements: I am enough, I have enough and who I am originally is beautiful. So, how are you restoring your masterpiece? Reblogged this on Creative Nation G.C.C. So, how are you restoring your masterpiece? To answer the question, I would say, “Not my j0b” or “Horribly–totally botch it all the time and am trying to remember that’s a fruitless pursuit at best”–And even if I could do it pretty well, I’m still not the masterpiece. Thank you for those thoughts. I think your comment really expands the scope of this piece. Hopefully generating further discussion and analysis.